Marie A. Corliss, Esq., received her bachelors in philosophy at Fordham University in 1982. She then went on to Benjamin N. Cardozo School of Law, Yeshiva University where she earned her Juris Doctorate in 1985. While at Cardozo, she was the International Law Review Articles Editor, and a member of the Regional Champion Moot Court Team. Upon graduation, Marie was admitted to the practice of law in New York State and began working as an Assistant District Attorney with the Bronx District Attorneys Office. There, she was selected by the Appeals Bureau to draft legal briefs and argue cases before the NY State Appellate Division, First Department. Later, she took advantage of the great opportunity to gain intensive trial experience, prosecuting perpetrators of special victims (children and elderly), burglaries and robberies. While raising her family, Ms. Corliss worked part-time as counsel to nursing homes. 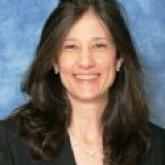 She became an attorney with Vincent Russo and Associates before moving on to Covey, Roberts, Corliss, and Carmody-Roberts in Katonah, NY, where she became a partner focusing exclusively in the area of Elder Law. In 2011, Marie Corliss established the Corliss Law Group, with offices in Katonah, Cortlandt Manor and in Manhattan, New York. The Corliss Law Group is entirely devoted to the fields of Estate Planning and Elder Law. Individualized, personalized attention to each clients' unique needs and goals are of paramont importance to Ms. Corliss. Special accommodations are made to ensure that each person who contacts the Corliss Law Group has access to the information they need, including a complimentary pocket size Health Care Proxy. The office offers services in these areas exclusively: Medicare & Medicaid: Wills, Trusts, Powers of Attorney, Health Care Directives; Special Needs Planning; Guardianship;Probate; Nursing Home Admissions and Issues Marie A. Corliss is an active member of: Elder Counsel- A Premiere Association of Elder Law Professionals; National Academy of Elder Law Attorneys; Elder Law Section of the NY State Bar; Elder Law Section of the Westchester Bar Association; Trust and Estates Section of the NYS Bar Association; Putnam County Estate Planning Council. ELDER LAW BOUTIQUE FIRM DEDICATED TO: MEDICAID; MEDICARE; NURSING HOME ISSUES; WILLS; TRUSTS; ADVANCED DIRECTIVES; VETERANS BENEFITS; GUARDIANSHIP; & PROBATE Ours is socially conscious firm. Each year we provide 100s of hours of free services to deserving clients and members of our community in various charitable services. We have Hospice Volunteers and Legal Guardians of the Persons and and Property on our staff. We strive to meet the needs of those with limited resources, as we all need legal services, regardless of our means. We deliver legal services with an empathic and conscientious approach to the concerns of families and their loved ones- always. Estate, Tax and Medicaid Planning- We begin with an estate, tax and long-term health care planning evaluation. This evaluation results in a comprehensive step-by-step plan which best meets the financial and health care needs of our clients. Medicaid and Medicare advocacy is provided where appropriate. We value our strong relationship with our clients. We are compassionate in our assistance with Nursing Home admission,Home Care, Medicare Coverage and Medical Insurance Claims. Legal Instruments- A clients comprehensive plan may require the execution of a Last Will and Testament, a Living Trust, Advanced Directives. We prepare customized instruments incorporating the latest advances in the law. Planning for People with Disabilities- We establish estate plans for clients with disabilities and work with their family members in providing for their long-term needs, including: Supplemental Needs Trust, government programs (Medicaid; SSI; SSDI) and advice for trustees of trusts for the benefit of the disabled. Individuals who have not engaged in advanced planning may requiring a guardian due to an inability to manage their personal or financial affairs. We represent both Incapacitated Persons and Petitioners seeing to have a guardian appointed to ensure that the emotional, medical, legal and financial needs of the incapacitated Person are met. Tell us about your special needs issue and we will put you in touch with Marie Corliss Esq.